Mayor opens state-of-the-art Crossrail train testing facility - Crossrail . For information about the Elizabeth line please visit the Transport for London website. The Mayor of London, Boris Johnson, today unveiled a state-of-the-art testing facility for the new fleet of Crossrail trains during a visit to the Bombardier factory in Derby. The Mayor opened the new £1.6m 'iron bird' integration test facility, inspired by the aviation industry, where advanced pre-production testing takes place in a simulated environment. 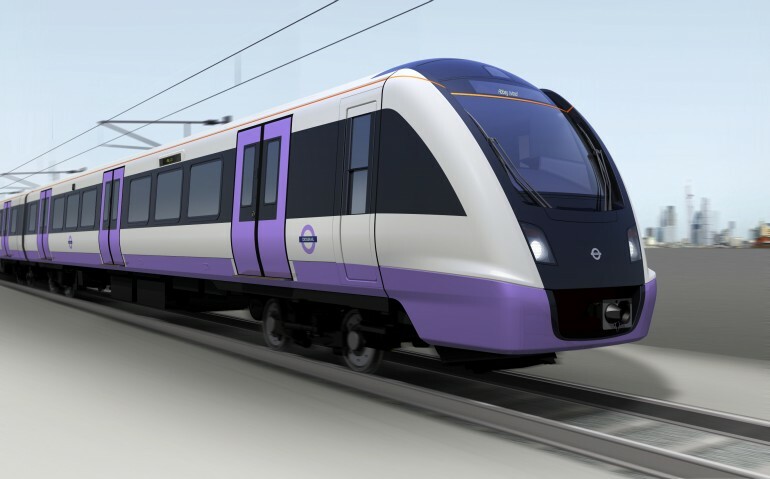 Securing the Crossrail contract has enabled Bombardier to invest in this cutting-edge technology in order to put the new fleet of trains through their paces. It will help make the next generation of rolling stock safer, more reliable and improve performance. It is the first time that such equipment has been used to test trains in the UK. Joined by Transport Secretary Patrick McLoughlin, the Mayor met the engineers, train builders and apprentices who will be building the new trains for the major new TfL-run rail line. It will serve 40 stations and link central London with Reading and Heathrow in the west and Shenfield and Abbey Wood in the east. London’s population is set to grow from 8.4 million today to around 10 million by 2030. When TfL-run Crossrail opens in 2018, it will increase capacity on London’s rail network by 10 per cent, supporting regeneration and provide a direct link between London’s main employment centres. In addition to the contract to build 65 Crossrail trains, which has sustained 760 jobs and provided 80 new apprenticeships in Derby, Bombardier is currently producing a fleet of 191 new S Stock Tube trains for the Circle, District, Hammersmith & City and Metropolitan lines, and 57 additional rail cars for the hugely popular London Overground network. The visit highlights how investment in the capital’s transport system is driving jobs and growth throughout the rest of the UK. TfL and Crossrail already support 84,000 jobs in the UK across the supply chain – of these more than 58,000 are outside of the capital. Rails are sourced from Scunthorpe, signalling technology from Chard, pumping equipment from Shropshire, lubrication equipment from Liverpool and cable from Chester-le-Street. The Mayor test drove one of the new S Stock Tube trains - the first to feature air-conditioning and walkthrough gangways - on a special test track. He also met Bombardier apprentices, including Kirsten Gorton, the only female welder in Derby, and Lewis Slack, who has been short-listed for an award for Rail Engineer of the Future in the Rail Business Awards 2014. Bombardier currently has 45 apprentices on its apprenticeship scheme in Derby and takes an average of 15 apprentices per year. Laurent Troger, president of Western Europe, Middle East and Africa Bombardier Transportation, said: "It is fantastic to welcome the Mayor of London, Secretary State for Transport and Mike Brown, Managing Director of London Underground and London Rail to our Derby site to meet the apprentices, craftsmen and engineers who are involved in our exciting new train projects. This visit enables our customers to experience first-hand the whole process involved in designing, manufacturing and testing these iconic new trains for London – all done right here in the UK." The Bombardier factory in Derby is the only site in the UK to design, engineer and manufacture new trains. It has delivered many of the new trains that operate in and around London, providing 800 trains which serve nine key routes. Bombardier also provides maintenance support for many of these trains with teams based in and around London, supporting further jobs. The new Crossrail trains will be twice the length of a District Line train (205 metres) and carry 1500 passengers, so provide excellent capacity for the capital. As these trains are probably among the longest on the network, Bombardier is investing £12.5m to construct a new purpose-built test facility in Derby, as well as a new maintenance depot at Old Oak Common, supporting additional apprenticeship jobs in the South East.